An assassin falls in love with a simple southern girl and soon gets tangled up in his work trying to save himself from…himself. 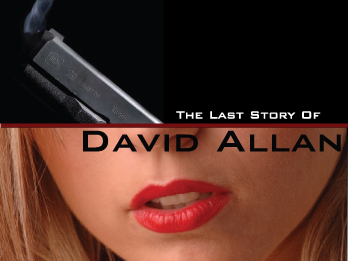 David Allen is a career hit man in the midst of an existential crisis. Clinging to the last bit of his humanity, David returns to Puerto Rico—the very place where over a decade earlier he was forced into working for a secretive organization that eliminates evil men who are above the traditional reach of justice. David is assigned a target who is compromised during the hit, and he is then forced to save the life of a female witness, keeping her safe by locking her in a hotel room. What appears to be a hostage situation turns into a meeting of two disparate but kindred souls. David soon finds himself questioning his career, purpose and beliefs. Meanwhile, he’s in a race against time to close out a new target, before he himself becomes the target.